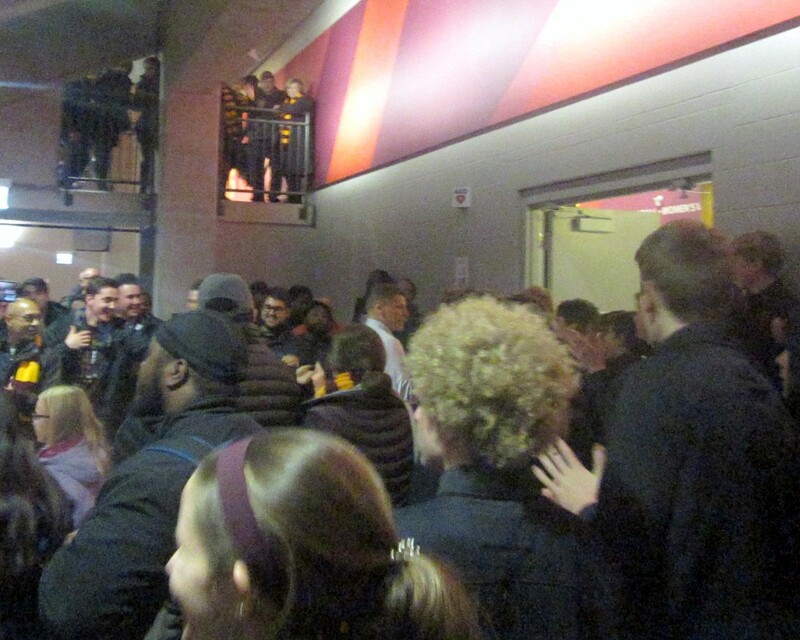 Unlike some previous years, my recent barrage of Best of 2018 blog posts didn't contain any references to my sports fandom, whether in noting games attended, teams followed, athletes admired or moments savored. 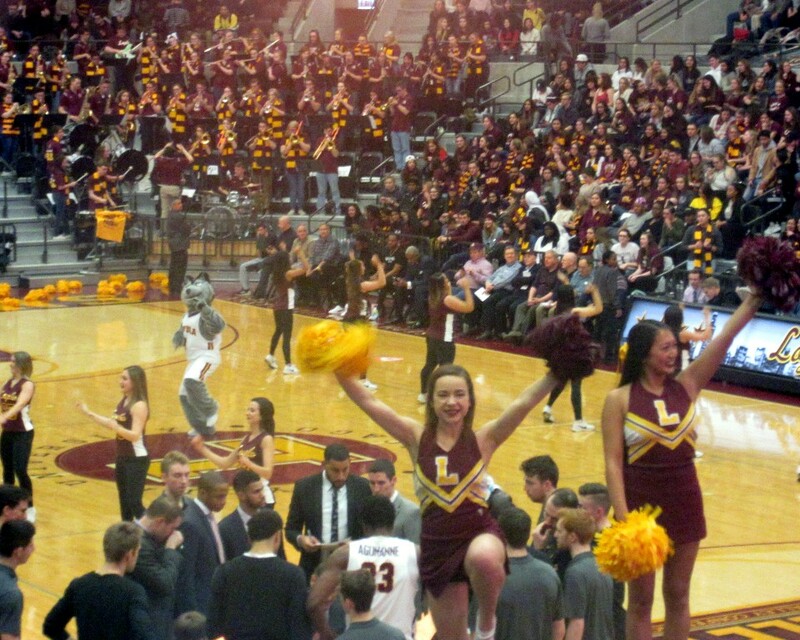 But along with largely stellar and highly enjoyable seasons by the Chicago Cubs and Bears--which ended all too abruptly, in the former case with me in attendance at a marathon Wild Card loss--the Loyola Ramblers' run to the NCAA Final Four was a definite highlight. I don't follow college basketball very closely during the regular season, and didn't know the 2017-18 Ramblers were doing really well until just days before they made the tourney. 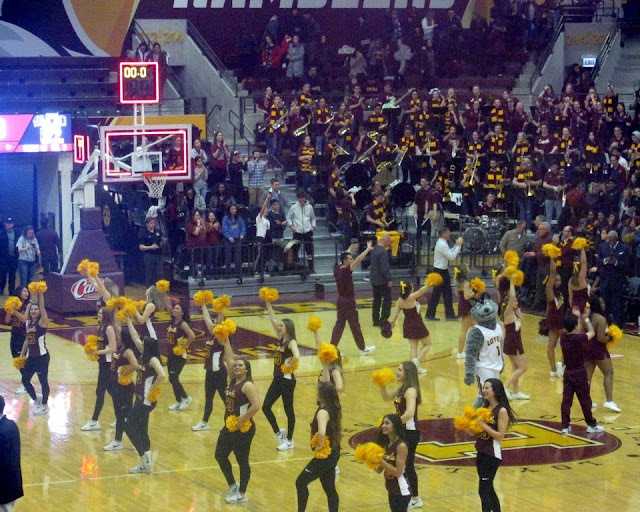 So although I probably could've gone to a game last season--or many others--I never gave it much thought. 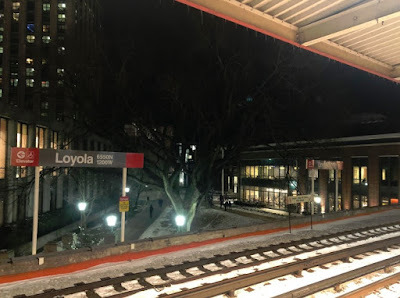 But it was a thrill following Loyola through the tournament, and although they haven't played that well to date this season--they now stand at 11-7--I've had in mind that I should get to a game. 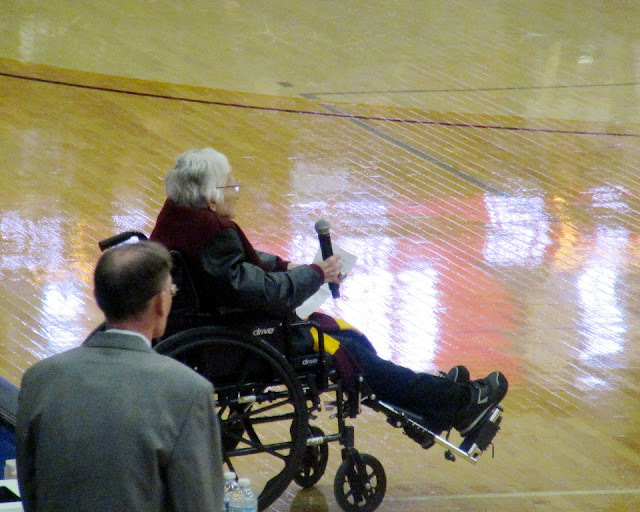 Although it may have been just as easy on prior occasions, I seized the opportunity last night, as Coach Porter Moser, the world's most famous nun--99-year-old Sister Jean, who delivered an invocation--and the Ramblers hosted the Crusaders from Valporaiso University. 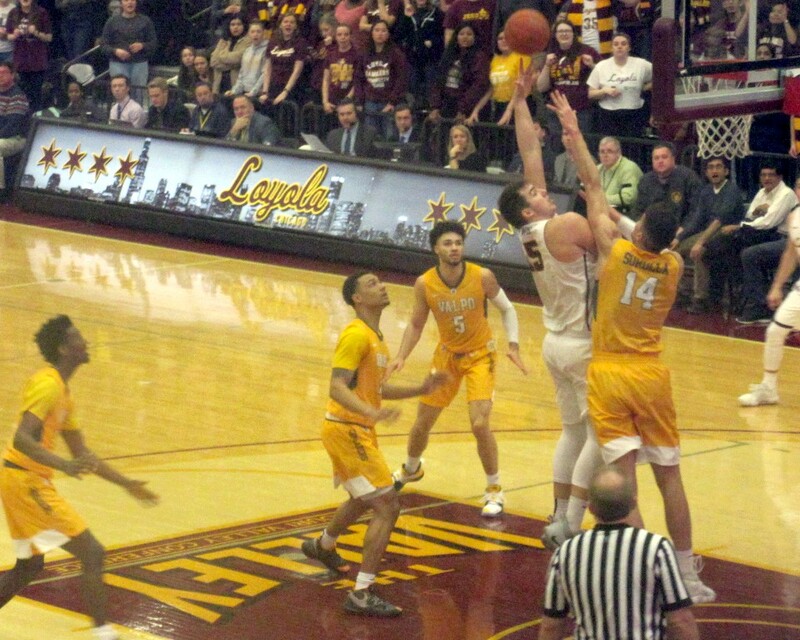 Valpo, at 4-0, had been atop 3-1 Loyola in Missouri Valley Conference play, but somewhat surprisingly, the matchup failed to fill the Gentile Arena, with less than 4,500 seats on the lakefront campus. I would've been able to buy a seat at the box office for $14-$20, but on Monday night found one for just $6+ fees on StubHub. 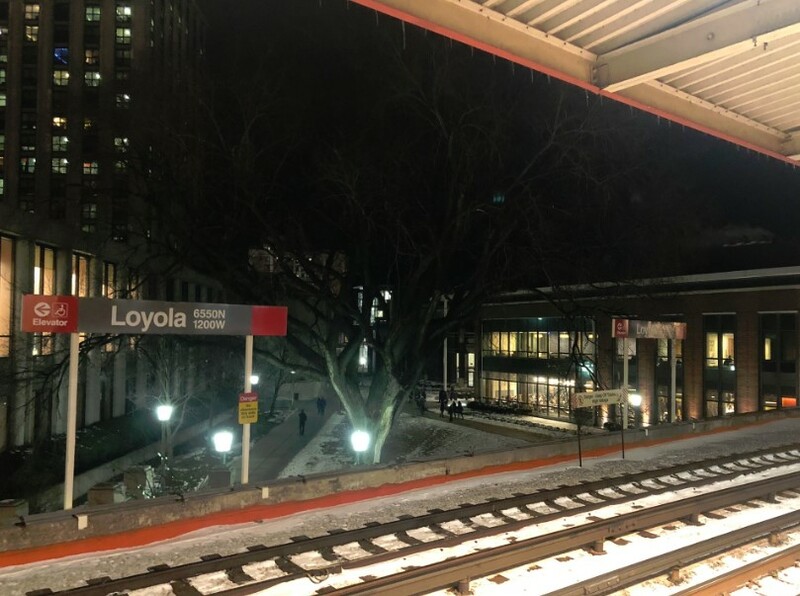 And getting to the game after work downtown was as easy as can be, with the arena just steps from the Loyola stop on the CTA Red Line. 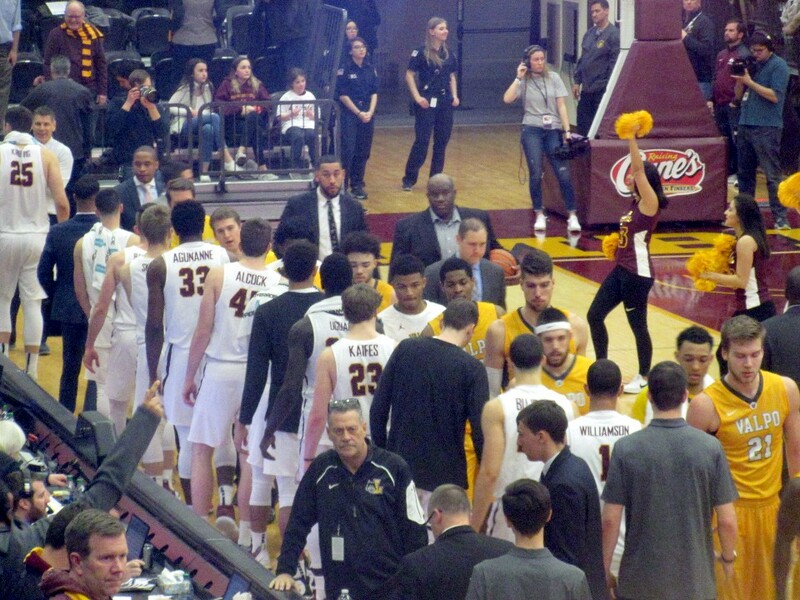 From the tourney run I had come to recognize a few Ramblers still on the team--Clayton Custer, Marques Townes, Cameron Krutwig--and they were among six Loyola players in double figures. 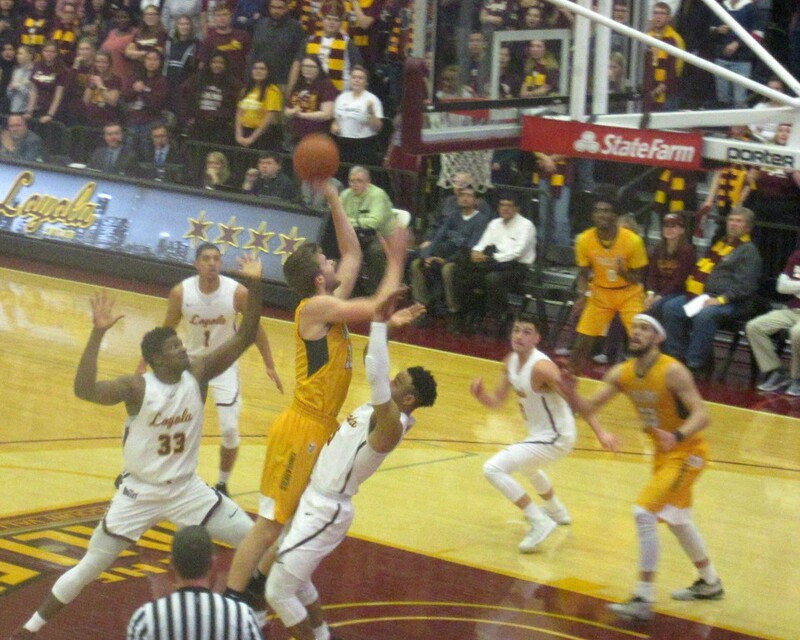 Valparaiso's starting center was a 7'1" junior named Derrik Smits, who I assumed and was able to corroborate as the son of longtime Indiana Pacers center, Rik Smits. Moser seemed considerably more demonstrative than I'd perceived from TV, as he seemed to be screaming at someone after nearly every play. 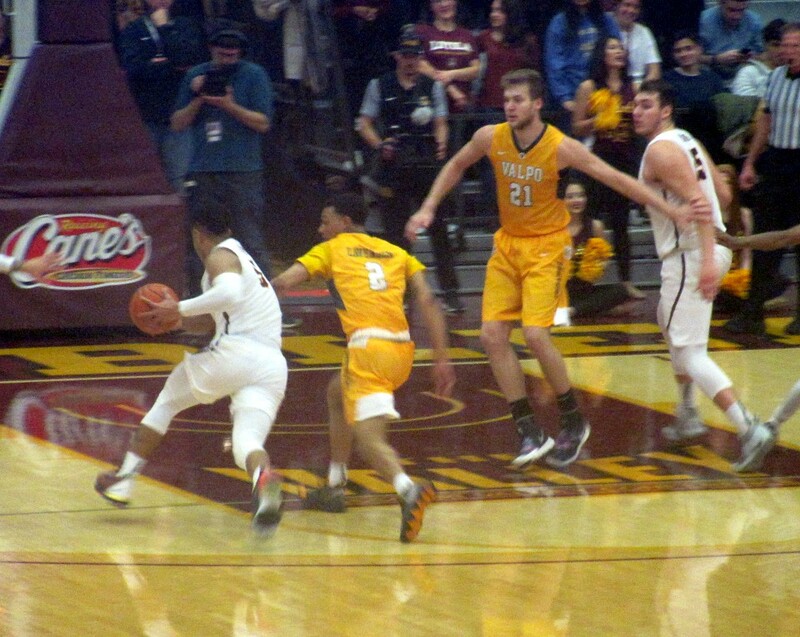 But the Ramblers crushed the Crusaders 71-54--they had been up 29 with 6:31 left to play--and this seemed the kind of game that could be a catalyst to better fortunes going forward. 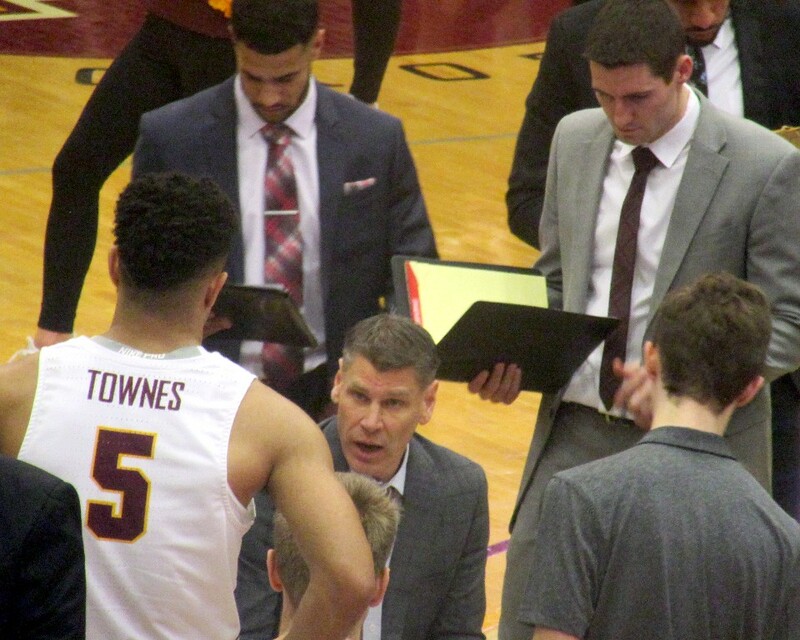 Having attended Northern Illinois University in the late '80s, when the football and men's basketball teams were so-so at best, I've never acutely experienced big-time college athletics. 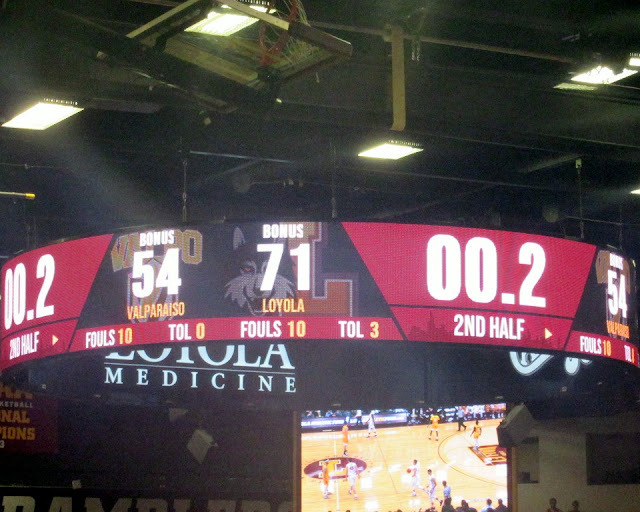 Over the years, I've been to a handful of Northwestern, DePaul and UIC games, but never Loyola, whose hardcourt success was typically middling (or not even) in the past few decades until last season. 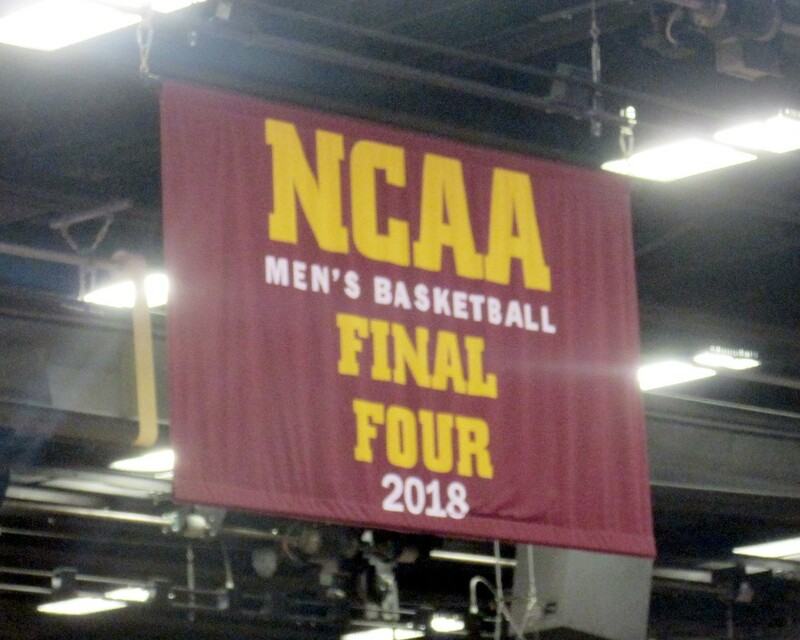 Given its smallish capacity, the Gentile--pronounced genteel--Arena presumably doesn't compare to the atmosphere my nephews are experiencing at Indiana University. Still, the Ramblers played well and the crowd was excited, so my evening was sufficiently fun. I'm glad I went, don't know why I hadn't before, and hope the Ramblers can ride a hot streak the rest of the season into another NCAA tourney bid. And the right opportunity presents itself, I'd happily ramble over again. 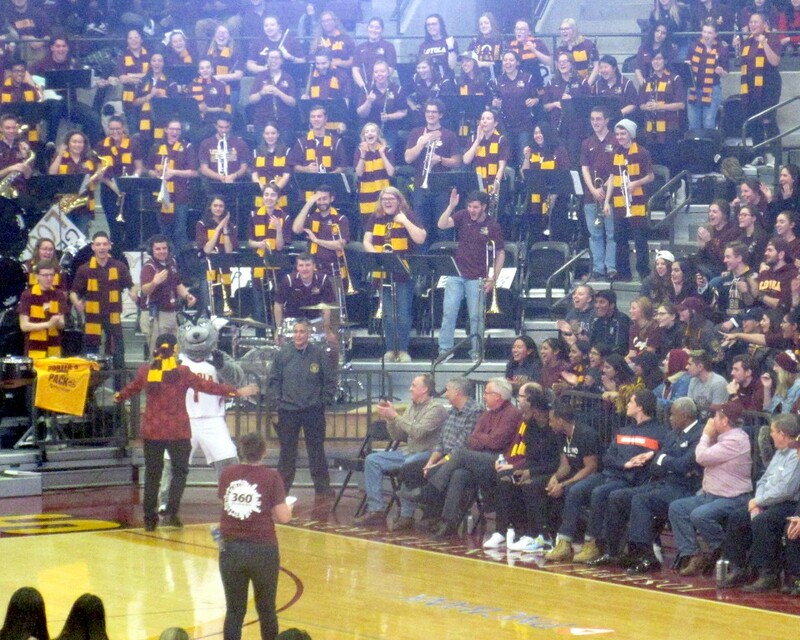 Here's a clip of the Loyola band playing "Sweet Caroline" before the game, followed by a bunch more photos. Coach Moser in the middle. 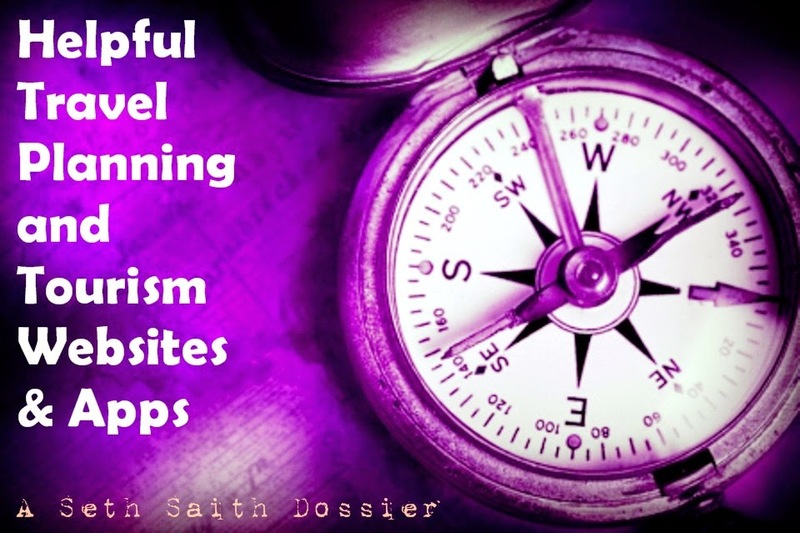 All photos by Seth Arkin. Please do not repost without permission and attribution.